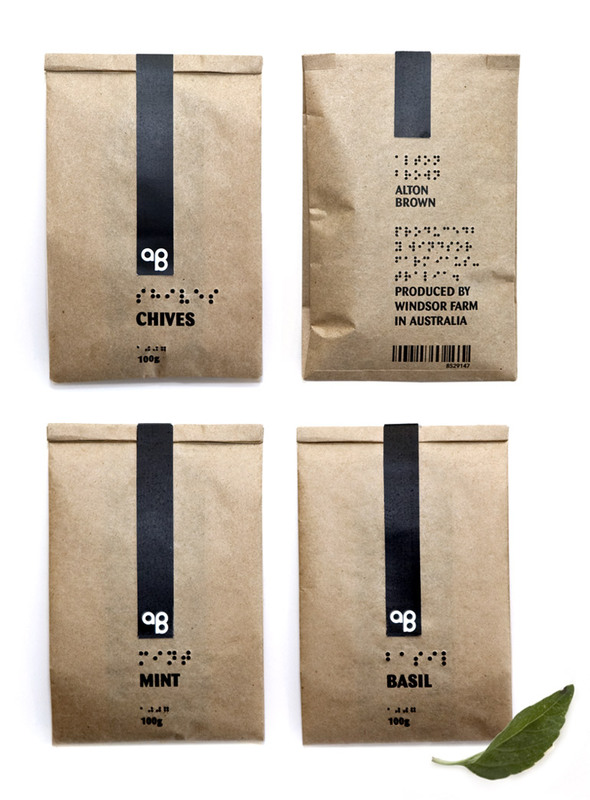 Alton Brown is a spice range for blind and visually impaired people. 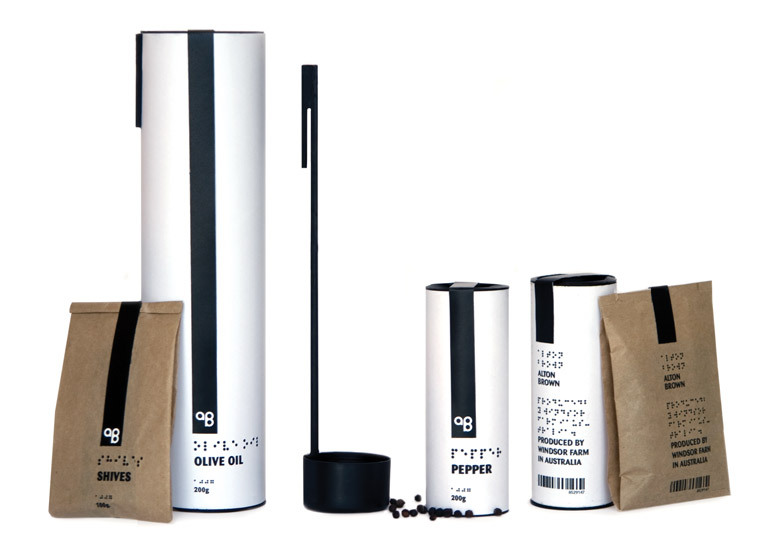 The range also includes olive oil and balsamic vinegar. Together with liquids a special spoon is provided which makes it easier to poor and to measure them, it’s the measue of a table spoon. The text is placed on the exact same place on all the products and all the braille is embossed. The logo is communicating the exact same thing for blind as for non blinds since a is one dot and b is two.